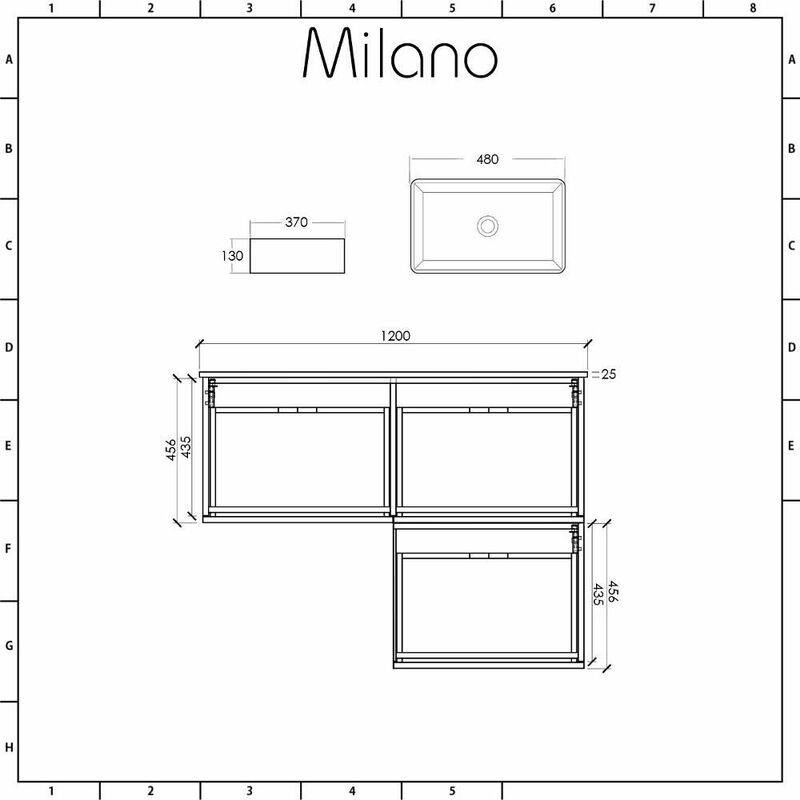 Bring your bathroom up to date with the modern and stylish wall-mounted Milano Oxley 1200mm L-shaped vanity unit and matching basins. 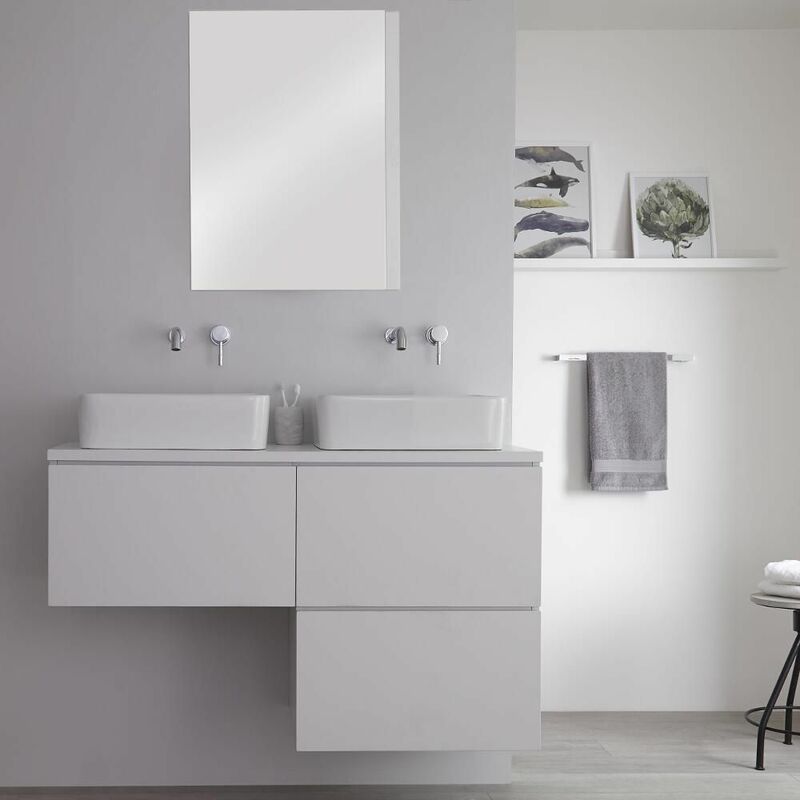 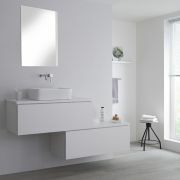 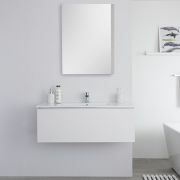 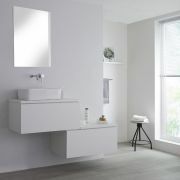 Featuring a contemporary look finished in matt white, the Oxley vanity unit is made from moisture resistant engineered wood for guaranteed strength and long-lasting durability. The three large push to open soft close drawers allow you to keep your bathroom looking neat and tidy by storing your toiletries and cosmetics out of sight. 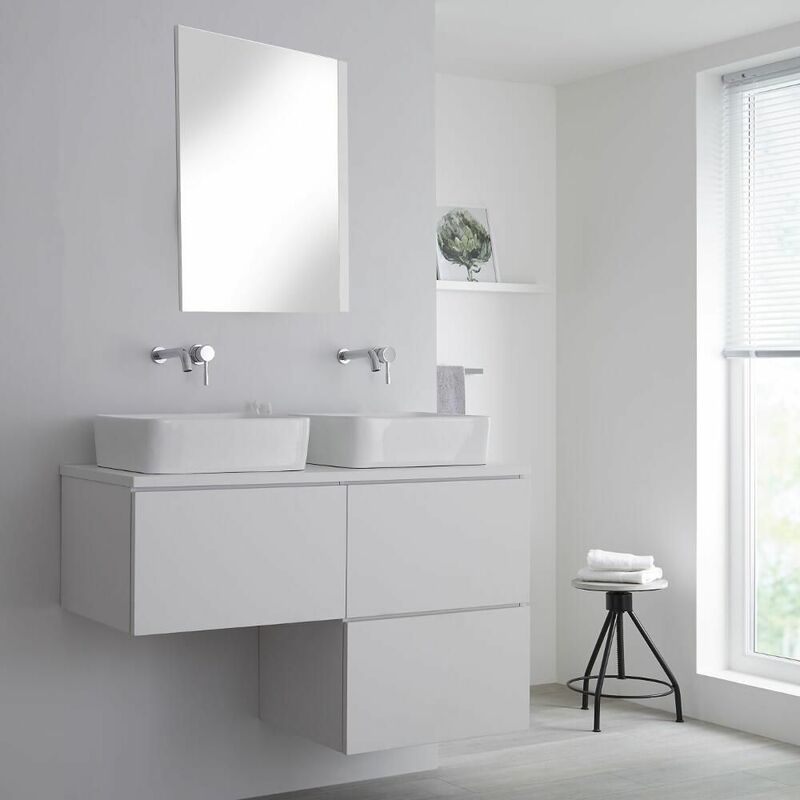 The ‘his-and-hers’ look is created with two high quality ceramic rectangular countertop basins that are finished with a white glaze for protection and easy cleaning. 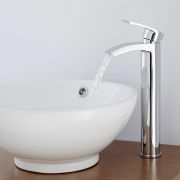 As neither basin has a tap-hole it is possible for you to choose wall-mounted or high-rise taps from our range to suit your own taste.